This is a look at the building in Montague before it was demolished. 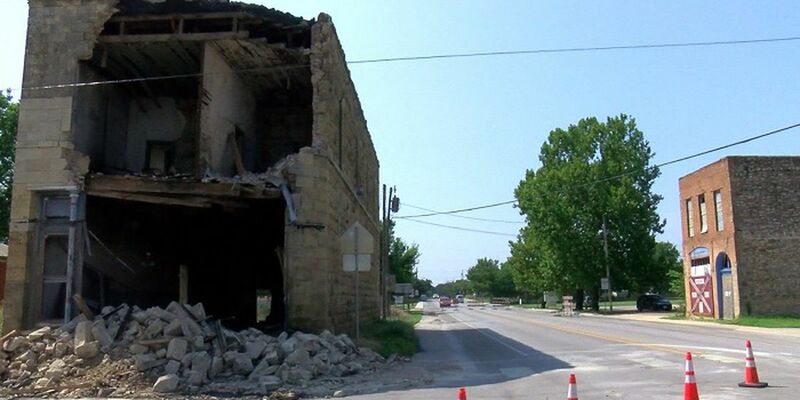 MONTAGUE, TX (TNN) - Demolition has begun on a damaged building located on the courthouse square in Montague, according to Bowie News. Despite the rain and lightning over the weekend, work began to take the structure down. Power was turned off while the demolition got underway because power lines ran across the front and rear of the building. Much of the building easily crumbled when pushed by the excavator. The 1883 building was damaged in August 2018 when a pickup drover into it. The wreck caught the truck and building on fire.